A heartfelt ode to Philly. I want to be completely honest with you, so I'll begin with this: I moved to Philadelphia almost two years ago after living in New York for twenty-eight years. The transition was both terribly hard and truly rewarding. So yes, perhaps this review will be biased, albeit completely sincere and full of understanding. When I first opened 215: Our Hearts Belong to Philadelphia, I was prepared for a heavy dose of praise and grandiose exclamations about why it's the best city in the world. Well, I was wrong. There's a lot of love in the contributors’ writing but they stand by what I’ve found to be the general mindset of Philadelphia, which is that this city doesn’t need to prove itself to anybody. The honeymoon period in Philly varies from person to person. I quickly learned the attitude of Philadelphians; basically, a popular phrase of current vernacular “gives no fucks” was created here, because that’s exactly how Philly operates. The contributing authors share their stories of wavering emotions toward a city they currently live in or at once called home. 215 is edited by Kerri Radley, Philadelphia resident and writer of Deafula Zine, who has collected an assortment of pieces that differ profoundly in both experience and reason as well as medium and style, ranging from stream-of-consciousness writing to comics. The authors are honest and daring, relaying their sometimes difficult situations that brought them to Philadelphia including college, drugs, unhealthy relationships, an escape from home and pure whims. 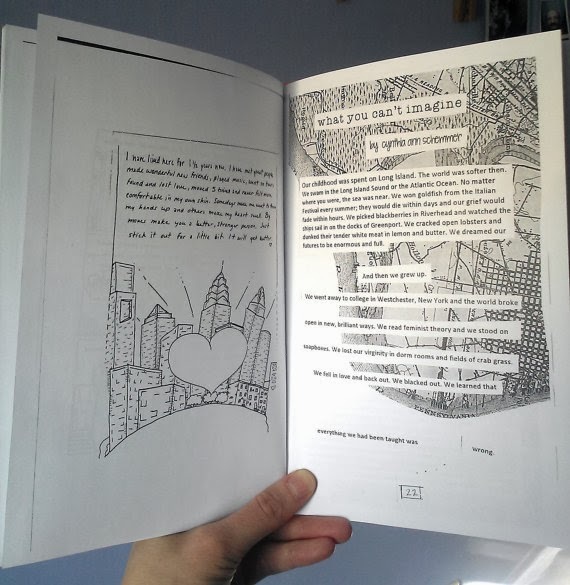 They never go over the top with Philly pride because they aren’t trying to convince you of anything, but rather, tell you what the city did for them, which is what makes this zine relatable to anyone who has moved to a new city. For me Philadelphia will remain as the place where I found myself at my highest and lowest. Where I have learned my hardest lessons as an adult. The place I came to feeling completely undefined, but left knowing exactly what I wanted, who I was, who I wasn’t, and what I deserved. Maybe it wasn’t about the city. But that’s where it happened. Philadelphia often gets a bad reputation, mostly from those who don’t live here and who have little understanding of the city as a whole. Don’t get me wrong, I somewhat understand; it’s hard to be a contender when you have bustling New York only ninety miles north. The authors are also aware of Philadelphia’s lacking shimmer. In fact, a common thread that weaves all the pieces together is that many of the writers see it as unglamorous and unsuspecting. That’s the thing about Philadelphia; it isn’t interested in being like any other east coast city, and that’s what makes it so endearing. The city forces you to do the work of making it your home, and the payoff is worth it. 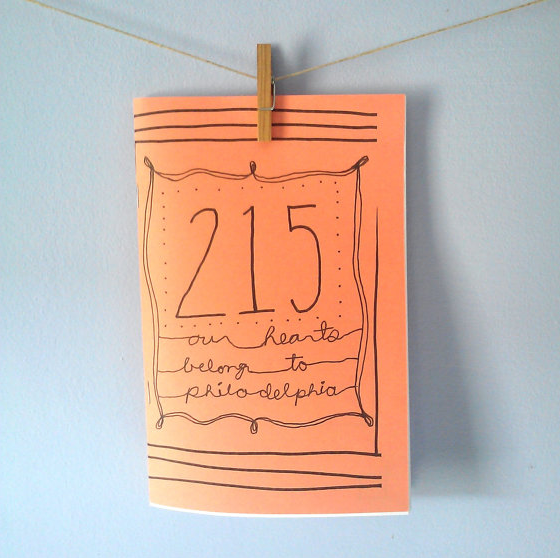 Buy your own copy of 215: Our Hearts Belong to Philadelphia here.